Budgies are adorable as pets. They are very active, intelligent, excellent at talking, easy to breed and very friendly. Budgies natural environment are the Australian forests but none available in a pet shop are caught in the wild. Budgies through selective breeding have involved in two types, the English and the American budgie. Budgies are true parrots and develop many different colour mutations. Budgies can be tamed using the proper budgie training method and make a great companion pet. 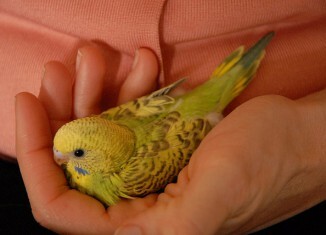 Keeping a tamed budgie as a pet is very fun and brings lots of enjoyment. Budgies are very responsive and intelligent and taming them is relatively easy. Below you can find some budgie training tips and procedure to help you. Taming your pet budgie is simple but takes time and effort. The most important thing in budgie training is to make your budgie to trust you. The budgie needs to feel comfortable and relaxed when your moving around it. It’s ideal to talk and react slowly when you are around your budgie. Budgies are a small bird and you can easily scare them with your hands or even presence. Try not to make any sudden moves and always speak to them calmly when trying to handle them. You need to build a relationship with your budgie before making any training secession. If by mistake you make a sudden move or hit their cage let them calm down before trying anything else. As a side note keep in mind that owning and raising a budgie from young makes it the excellent candidate for budgie training. The most important thing in budgie care is the trust building between the owner and the pet budgie. Training the budgie in short and regular sessions makes it feel comfortable. It is recommended to train your budgie in two to three sessions a day. Budgies are very small and normally afraid of you. You can make a budgie more comfortable in your presence by regularly approaching it. Keep your hand near the cage and in sight. Stay calm and talk gently in a smooth voice in front of your budgie. Rushing certainly damages the entire process so, you need to tame your budgie in a step by step manner. When you follow this approach regularly your budgie will start responding to you. Make sure your budgie is very comfortable with your presence before moving on to the next procedure. You can now open the cage door and place your hand inside the cage. Keep your hand still and calm without any movements. At first, your budgie may be afraid of you. Follow this procedure regularly without rushing or making sudden moves. At the initial stage the bird does not respond. In time your budgie will start moving in the cage while your hand is still in the cage. Feeding you budgie by hand, inside the cage, is an excellent training method. When the bird starts responding, surprise it with treats. Using fresh vegetables, billets and greens which are excellent treat to budgies. Treating the budgie with it’s favourite nuts and greens makes them feel happy and comfortable. In the initial stage keep the food in your hand. Place your hand near the perches or nest where your pet budgie can access its treat very easily. Be patient, the process usually takes more time than the earlier procedures. This move is a very important procedure in budgie training. It takes more than a week for a budgie to start eating directly from your hand. Once your budgie starts trusting you, it will start asking for food by making noise or becoming hyperactive when you are around the cage. Taming your budgie does not require skill, it requires time and patience. Avoid a budgie training session if you are feeling anxious or having a bad day. When your budgie starts eating from your hand you can start the hand taming procedure. Pet bird s always feel their cage as a very secure and safe place to live. Taking your budgie out of the cage for the first time certainly makes your budgie tensed and uncomfortable. Again following this procedure in step by step is an excellent way to tame your budgie quickly. Once your budgie is comfortable with eating from your hand, the hand taming procedure becomes relatively simple. Approach your budgie slowly without making loud noises or sudden moves. Making a sudden approach to the budgie is not recommended at this stage of training as your budgie might feel threatened and you will need to start the process from the beginning.. Point your index finger towards your budgie like a perch. You can motivate your budgie by pressing gently on its chest. At the begging the budgie will not understand and will probably flee from your hand. Dont give up, it will take some time. Once it feels comfortable it’ll step on your hand. You need to be very patient and follow this procedure regularly. If your budgie is not responding to the situation try to motivate it by offering treats. Keeping your budgies favorite food in your hand entices it to make a move. If the budgie climbs your hand without much problems, congratulations you have almost made it. Taking your budgie out of the cage is the next milestone in budgie training. Your budgie will refuses to come out the cage at the beginning. At first calmly try to move the budgie in the cage with your hand. Repeat the procedure until your budgie feels comfortable with it. This will probably take a week. Rearrange the cage if necessary in a manner to easily insert your hand without disturbing the perches or the cage or making noise. If your attempts are unsuccessful don’t worry. It usually takes a lot of time to hand tame any animal. Eliminating distractions will help attaining the goal more easily. As mentioned before pet birds love their cage. it’s their home and sanctuary. If you take your budgie out of the cage it feels insecure at first. This is perfectly normal, do not attempt to take a budgie out of the cage if its not ready. Close the room door and leave the budgie in the cage. It romps around the cage at first then gradually getting used to the scenario. Start placing treats outside or at top the cage. (near the opening). This makes them to reach out for the treat and realize the existence of an opening. 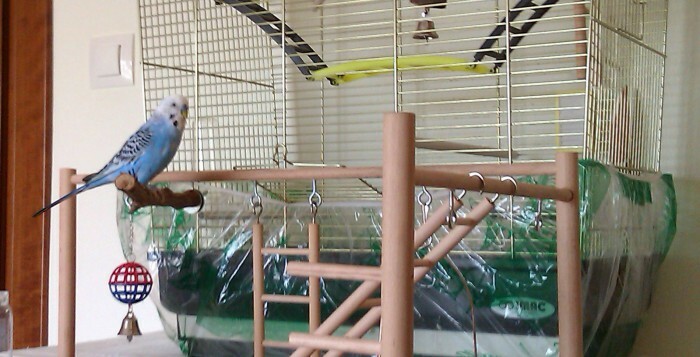 The budgies are very playful and active parrots, sooner or later they will try and leave the cage. The training procedure is not a very complicated process but it needs to complete in full. If you stop it the middle, the whole process and time gets wasted. While training your budgie secure the area and make it budgie safe. A small parrot such as a budgie is an easy prey to your domestic cat. So be careful with your budgie when you leave it outside the cage. Keep the window closed as it distracts the attention of your bird. Keep the room very clean and tidy. It recommended doing the training procedure regularly and in short sessions. 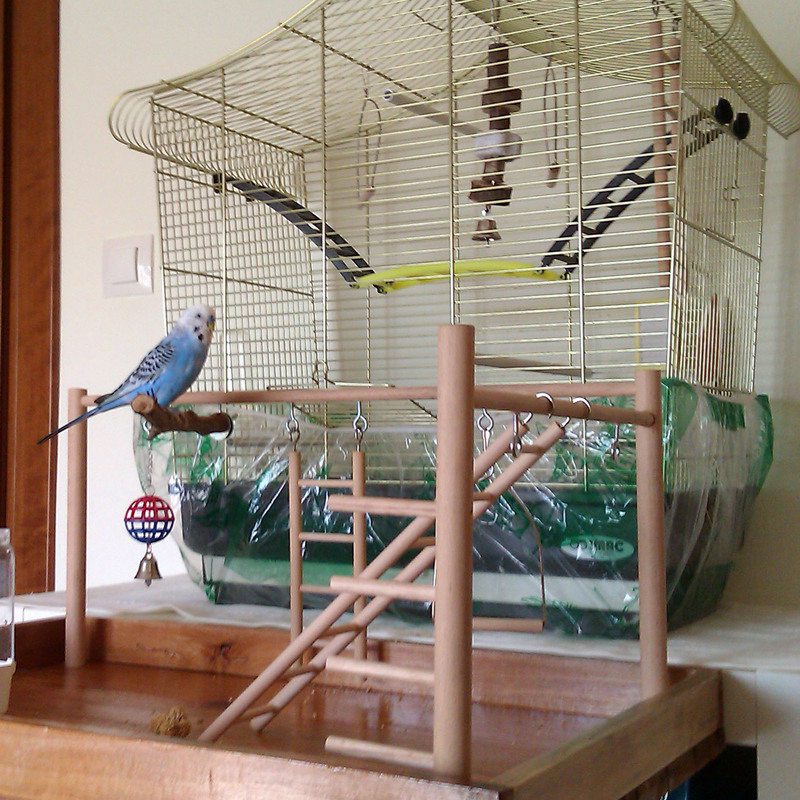 If you leave the room where you are training your budgie, put it back in it’s cage for safety. 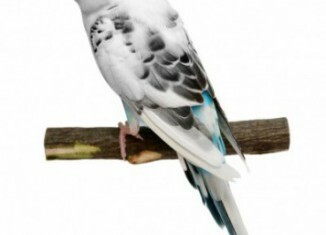 Make sure the wings and tail of your budgie is trimmed for its own safety especially if the available space is limited. When handling your budgie be careful not to apply too much of pressure. Speak to the bird very gentle and caring. When the training session completes put your budgie back in its cage. If your bird is responding well motivate it with a treat. Spend more time with your budgie to make them feel more comfortable. use your index finger to pet the bird with care. Give ample rest to your budgie as continuous training makes your bird uncomfortable and tensed. Make sure it rests at night for 8 hours undisturbed. Each training session increases the bond between you and your budgie. The bird gradually starts sitting on your shoulder and responds well. The natural instinct of bird is always to sit higher. Putting the bird below shoulder motivates it to climb higher. Each time give your budgie a treat to motivate it. Budgie training is really a fulfilling and exciting hobby. You can tame many birds using the same procedure. The young ones respond better than the adult budgies. Attain your favorite colored young birds and start working on taming as soon as possible. You can also attain vibrant color siblings by breeding your budgies and using a selective mating process. If your budgie is tamed slowly introduce it to your family members, perhaps they will too find their new hobby. Check in YouTube if the id Budgiewiki belongs to a . Check the FAQ of the plugin or send error messages to support.